A stable, roomy and comfortable seat for getting around with your child, The Yepp Maxi Easyfit Rear Child Bike Seat is another version of the Yepp Maxi Rear Child Bike Seat, with an alternative fitting system suitable for bikes with a sturdy rear rack. The best choice to give your bike a clean look. 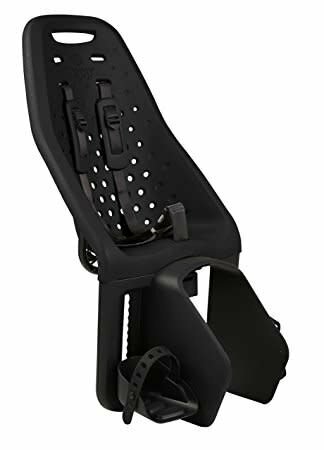 The Yepp Maxi Easyfit Rear Child Bike Seat is a light and easy-to-use rear seat designed to carry children from 2.5 to 6 years of age (up to 48 lbs). It combines cycling stability with comfort and safety for your child. Made of flexible but sturdy rubber material, which ensures both safety and comfort for your child. The material is shock absorbing, easy to clean, water resistant and features a high insulation factor.